How will you choose your photographer? will your decision be based on price or will it be based on the style and quality of photographs you are after. I believe you should invest as much money as you can into your photographer. Not just go for the cheapest price you see. Base your decision on the photographs that are being shot and the style they produce. At the end of the day when all the champagne is drunk and you have recovered from a brilliant night of dancing what will you have left? lots of amazing memories and the photographs. I also realise that photography pricing varies greatly, so I have come up with a few simple wedding packages for you to choose from. 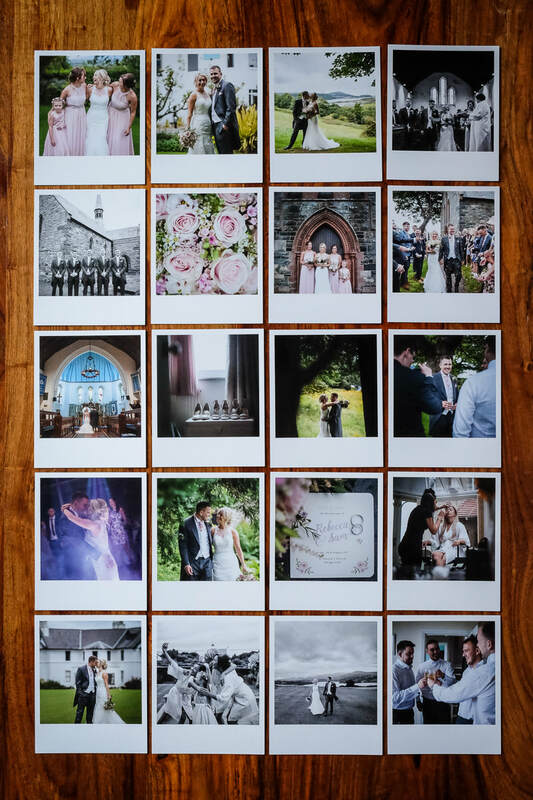 They are based purely on the way you would like to receive your images, whether that's in a stunning contemporary album or maybe you only want the high resolution images or even both, the options are there for you to choose. 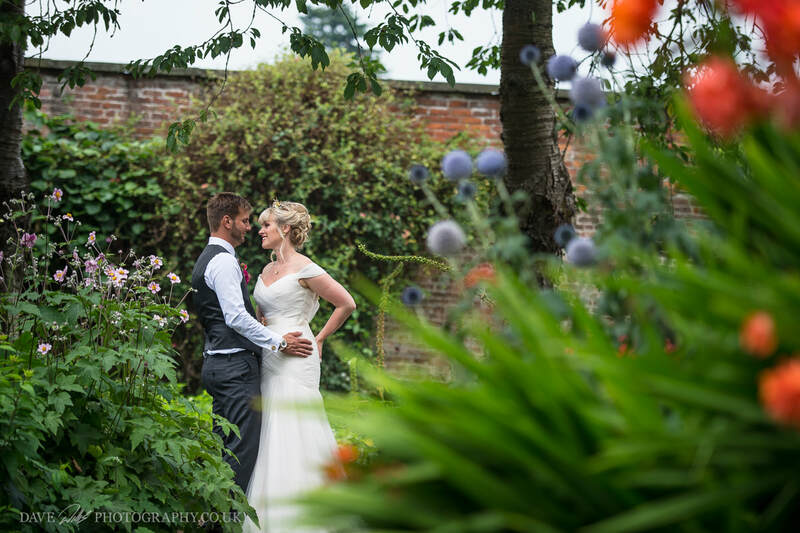 I cover a whole day of shooting from bride and groom preparation, the ceremony, group shots, intimate shots, speeches, cutting of the cake all the way through to the first dance and candid's taken throughout the day. So when you book me you can be confident that I will give you my full and undivided attention to capture your special day as it unfolds. 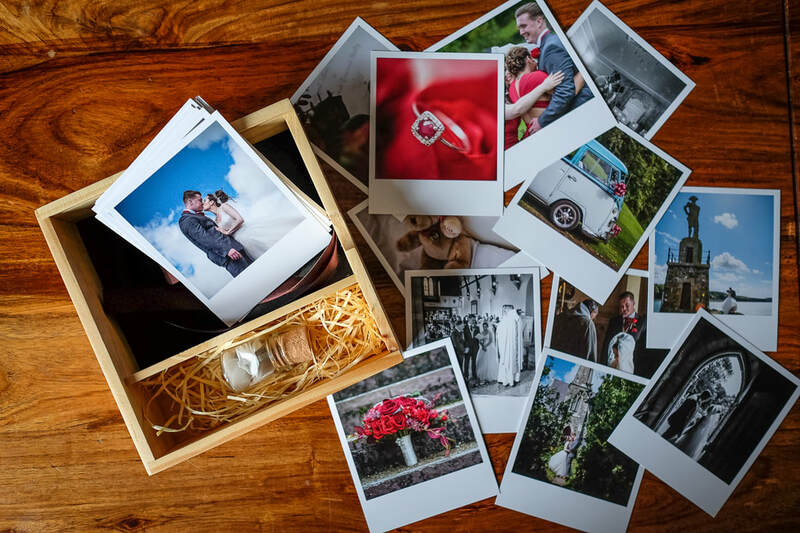 Once I have photographed your special day, usually within a week I will put a small selection of your photographs online as a little teaser and aim to have the rest of your photographs ready to go in your personal password protected online gallery within 3 - 4 weeks. 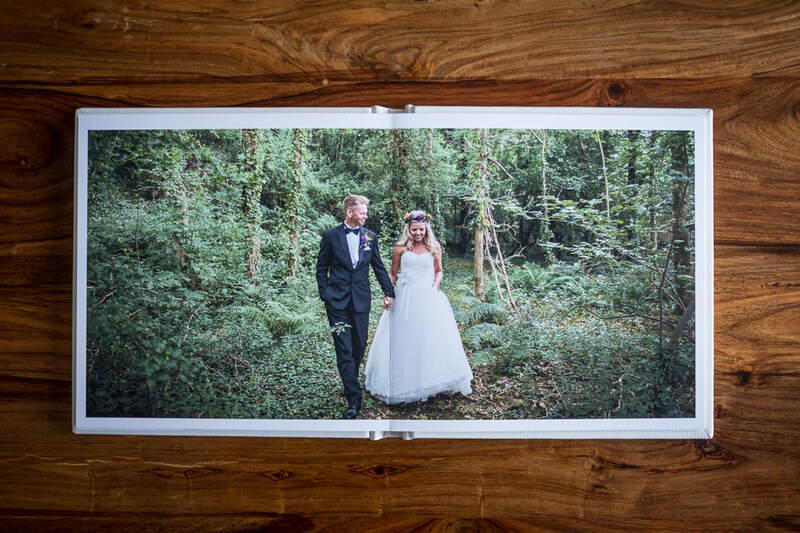 I will then send you your wooden print and USB box with all your images in. Your low resolution images are downsized ready to go on social media such as Facebook or Twitter if you wish. 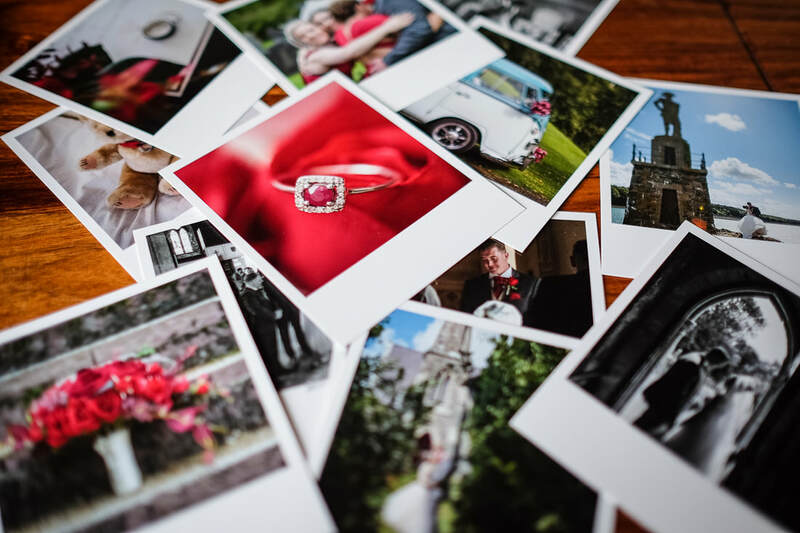 Once you have your online gallery and have viewed your photographs, you have the option of purchasing prints or digital images through the gallery or investing in a beautiful fine art album to display your photographs. 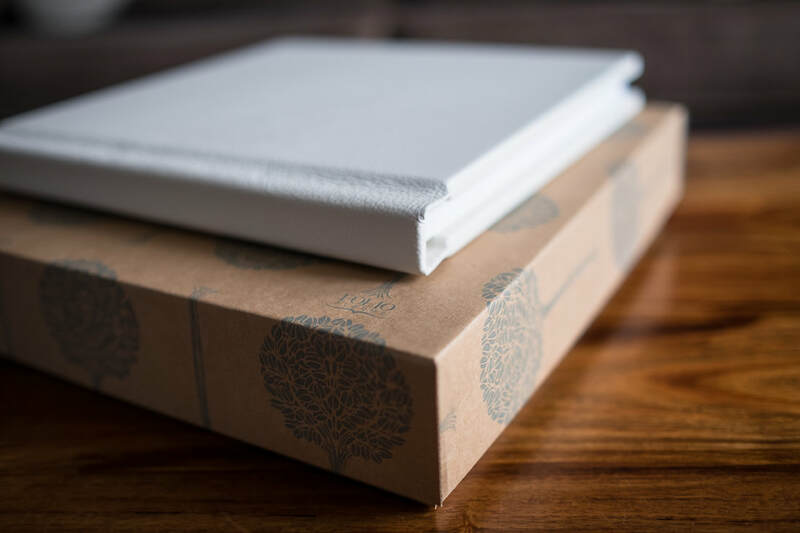 This is our top package, it is an album and image package, where your choice of edited images are supplied in a beautiful contemporary leather fine art album by Folio albums. 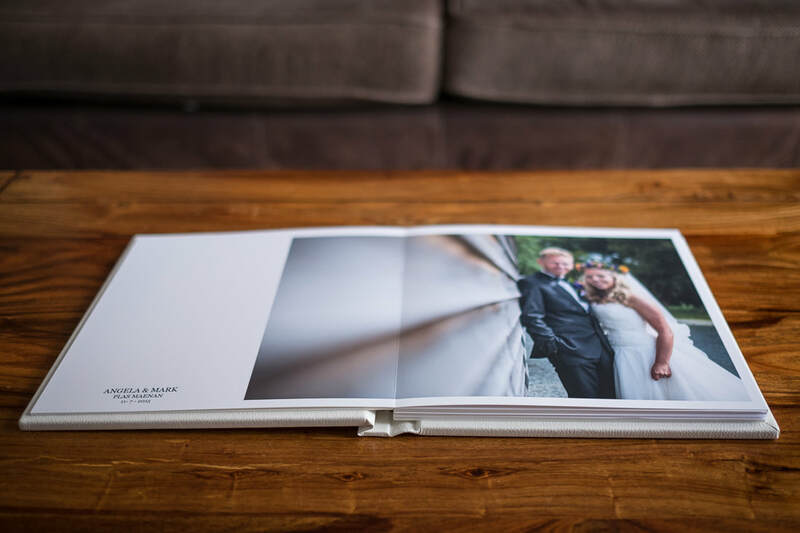 Your photographs will be laid out and printed onto fine art paper and then bound in gorgeous leather and supplied in a lovely presentation box. 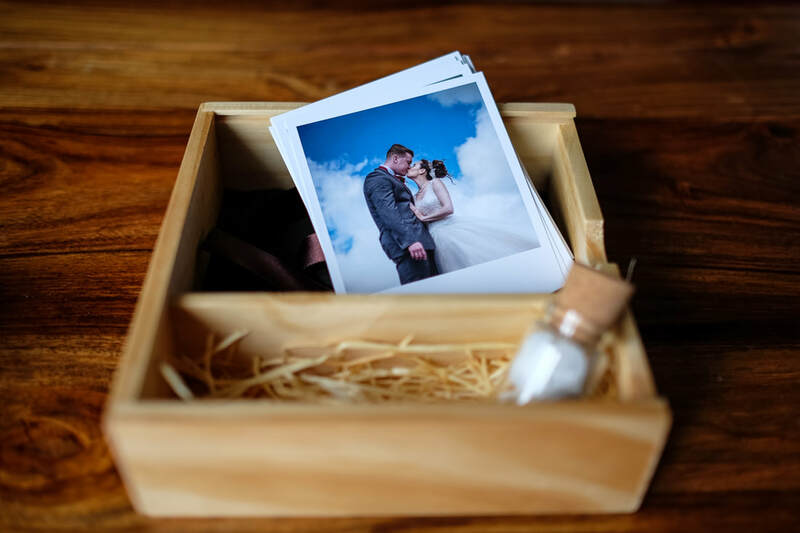 You will also receive all the edited images on a glass bottle USB in a beautiful wooden presentation print box with 20 vintage polaroid style prints beautifully gift wrapped and wax stamp sealed. All images are high resolution and free from watermarks and ready to print as many times as you like. Standard albums come with 60 photographs of your choice. 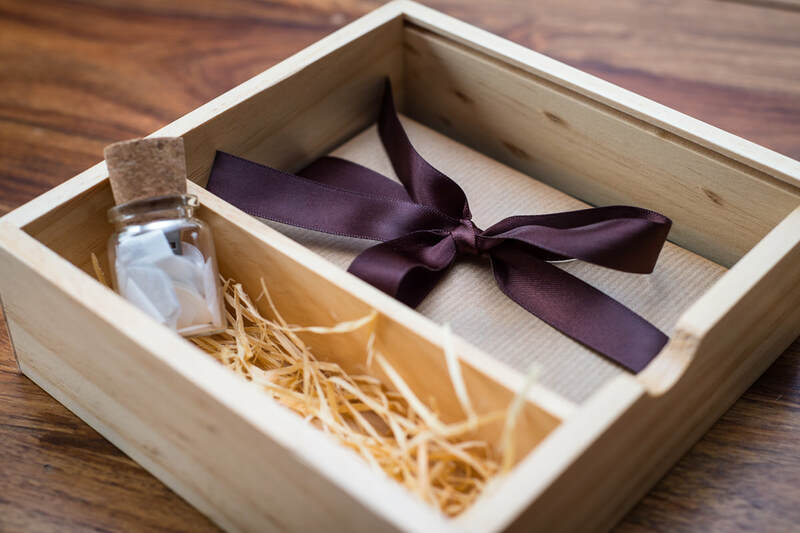 This is a digital only package, where all the edited images (between 300-500) are supplied on a glass bottle USB in a lovely wooden presentation print box. 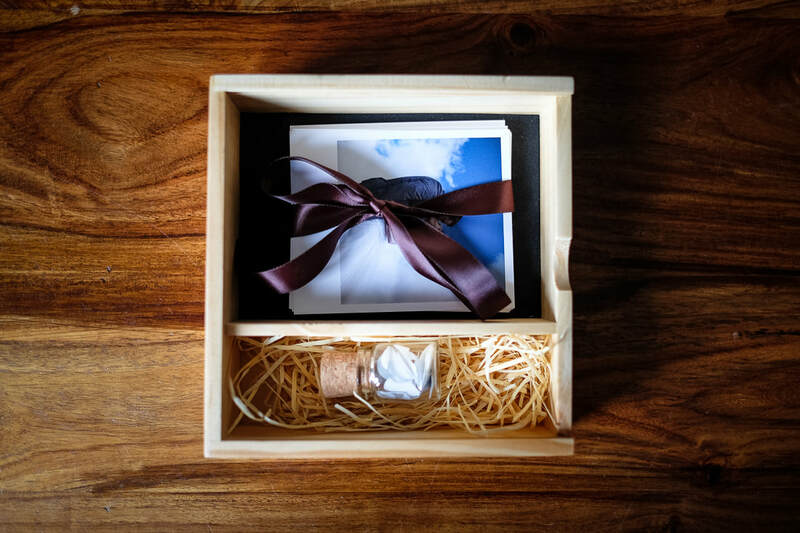 It comes with only 20 vintage polaroid style prints beautifully wrapped and wax stamp sealed. You will also receive low-resolution images on the USB for easy uploading on the internet and social media sites such as Facebook or Twitter. For those of you who really like having prints then why not add this to one of the packages above. 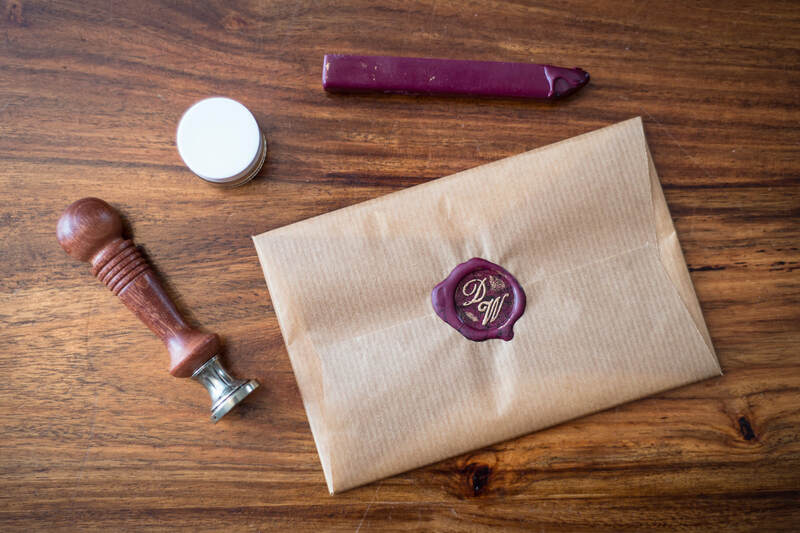 Instead of only 20 prints, It comes with 100 vintage polaroid style prints beautifully gift wrapped and wax stamp sealed.